Is it time for you to change or reframe to achieve your individual or organization’s goals? Lori helps people find the most influential way to communicate. Lori is an award winning speaker and actress that can provide you with entertaining and results oriented keynotes, workshops or coaching. She is the Dame of Reframe. When you work with her it’s all about YOU! Call to start reframing your path to success. Looking for a humorous, engaging and informative keynote or workshop? I’m Lori Klinka, an award winning speaker, trainer and actress. 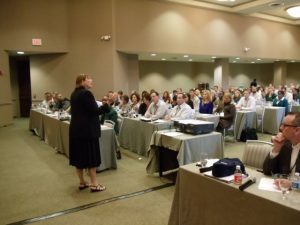 I can bring an inspiring and unique program to your organization. 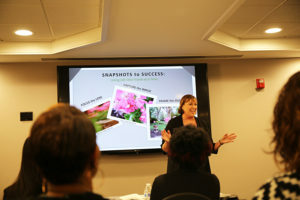 Need a dynamic presentation or workshop that delivers results? I can deliver a customized program that will help your organization gain insights and see results. Want to work with a professional that’s easy to work with? When you work with me- it’s all about YOU! Does the fear of speaking keep you up at night? I’m Lori Klinka, a Chicago Public Speaking Coach, and I have techniques that will help you calm the fear and anxiety when speaking. Clients feel less stressed and better prepared within the first session. Do you want to organize your thoughts and speak with confidence? I can help you organize, write and outline your presentation from the first sentence to the last. I have tips to add stories or interaction to make your information come alive to the audience. Do you need to improve your communication skills to get to the next level in your career? 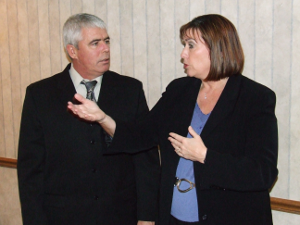 Improving your communication skills is an investment in yourself and your future. I have helped people improve their skills to get promotions, new jobs, and advance in their careers and personal lives. Your diverse background, subject knowledge and personality are a great combination for delivering an interactive, interesting and entertaining presentation. You are a miracle worker. You have a gift for making people feel comfortable and actually making speaking fun. Your approach to coaching and development is superb. You are a rock star! What a difference you have made working with our president, he has confidence, enthusiasm, presence. Our CEO is very impressed. This is the best training we’ve ever had. Lori is invaluable.